* Full-Grain, Water Resistant Leather Upper. 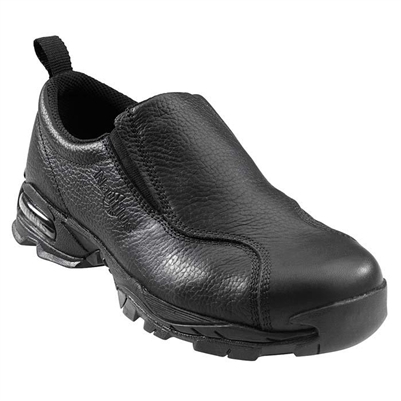 * Ergonomically Designed "Wide Area" Steel Toe Cap. * Removable Anti-Fatigue Polyurethane Insole. * EVA Mid sole for Maximum Comfort. * Highly Durable, Slip- and Oil-Resistant Stabilizer Out sole. * No Exposed Metal to Meet Scratch Resistant Workplace Requirements. * Meets or Exceeds ASTM 2413-05 Impact/Compression and SD Ratings.